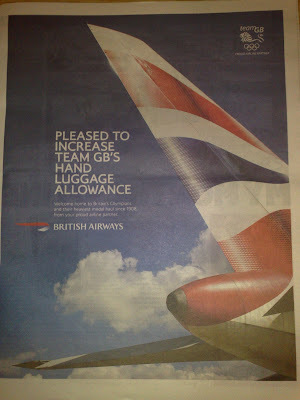 British Airways ran a nice tactical ad in the londonpaper tonight for the Team GB homecoming. Nick, The digital escalator panels (DEP) at Piccadilly Circus had the same creative today (fixed - they must have bought all the inventory). Easy for them as they have bought DEP for their T5 campaign.